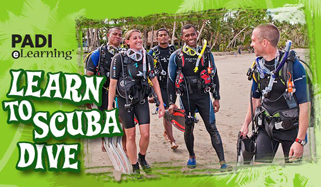 Getting your PADI open water scuba certification has never been easier. We use the PADI eLearning system which allows you, the student to learn at your own pace when and where you want. There are no class-room sessions to attend, you will be doing that work on your home computer. Our instructors are always available to help if there is something you don’t completely understand. Once you have enrolled in the PADI eLearning program you can contact us to arrange your pool dives here at School of Fish. Once you complete your eLearning program (5 to 7 hours of work on average) and your pool dives (4 to 6 hours of training) you can then sign up for your open water training dives. After you complete the 4 open water training dives you will be a certified PADI open water diver. Certification is good for life though it is recommended you take a refresher class if you are inactive for extended periods of time. 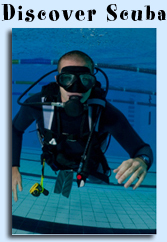 Advanced training and continuing education are a great way to keep your skills sharp and have fun with diving. School of Fish offer training through the Divemaster level which is your first step to becoming a professional! See other course offerings here. Sign Up for e-Learning Go Dive Video!